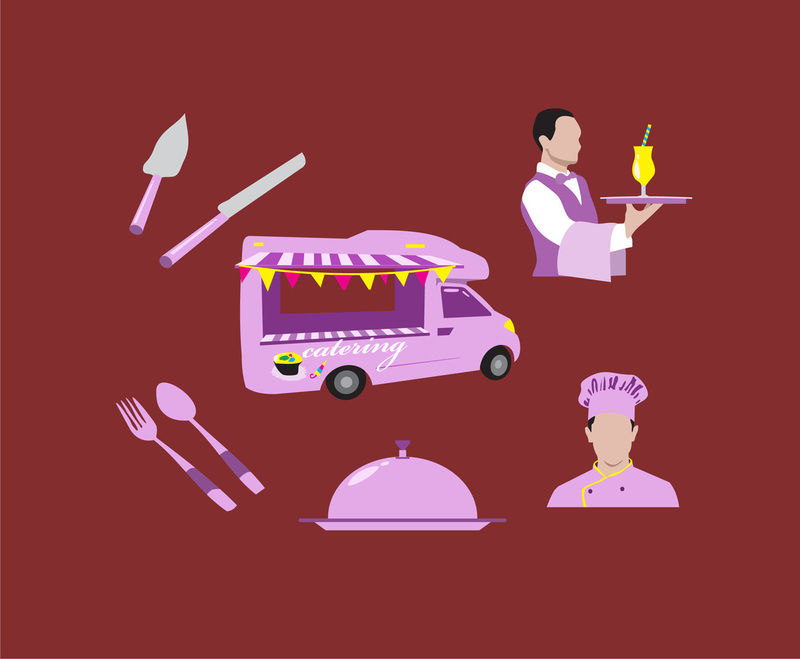 A set of catering related vector illustration that has violet or purple main color scheme. You will have a few of kitchen utensils, chef and waiter also a food truck illustrations. They are just perfect as design element in your culinary business poster or flyers. Download the set for free!